Identity issues are part of the package when you're a clone. 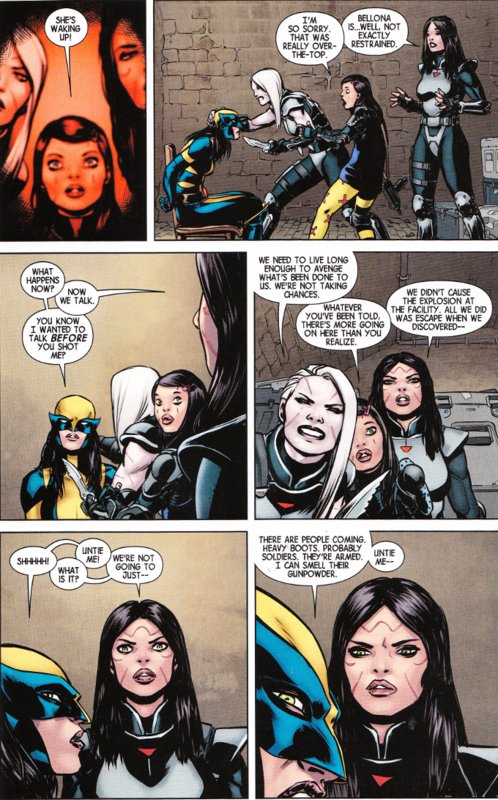 Yet Laura Kinney is experiencing a whole new range of odd emotions with the discovery that she has "sisters" - imperfect clones who lack her powers but have been granted a superhuman-tolerance for pain and a complete lack of empathy. Or so the scientists who created them claim. Of course Laura would be reluctant to kill these girls even without her suspicions there's more going on than is obvious. But will the trio of remaining assassins have the same qualms about sparing her if The Wolverine forces a fight? Any fears that Tom Taylor might be forced to hold back on the humor while writing a dour, serious X-Title have proven totally unfounded. While not as uproariously funny as his work on Superior Iron Man, there are still some truly funny bits amid the action of this issue. And the action is top-notch as well! Taylor's scripts are brought to life beautifully by David Lopez and David Navarrot. 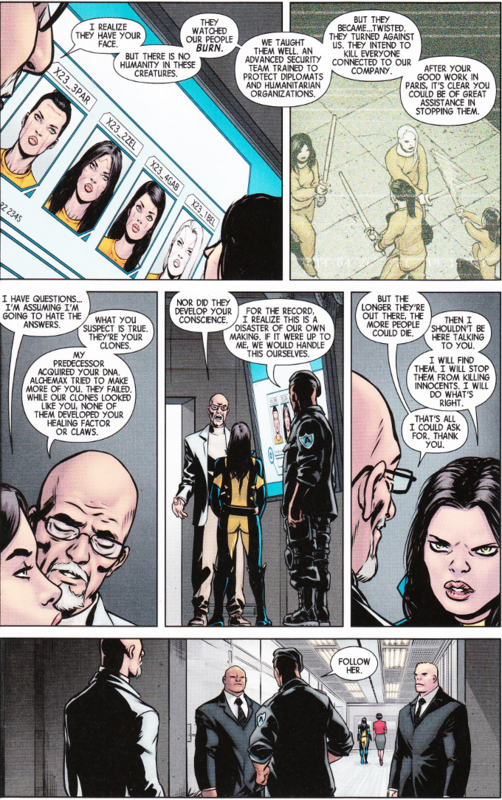 The character designs give each of the Laura Kinney clones a distinct look. There's no trouble telling who is who, even ignoring the differences in age and one of the clones being an albino. It's a subtle touch but a nice one and it's good to see they didn't leave the characters' visual identity entirely in the hands of colorist Nathan Fairbairn.